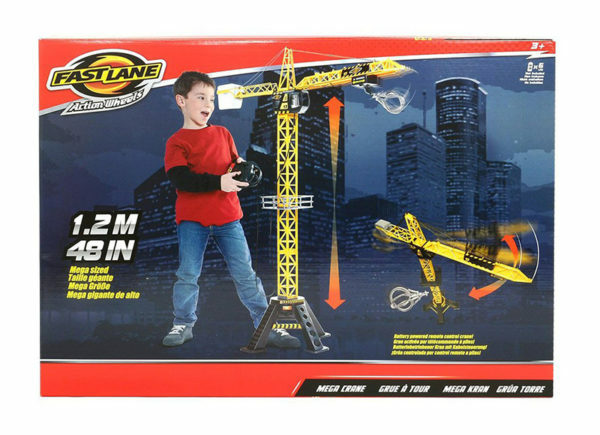 Every year there are a bunch of hot new toys that turn up on the wish lists of small children everywhere. Save yourself the heartache of discovering what that much-coveted toy is long before Christmas Eve with our top picks for Christmas toys in 2016. So, what are you waiting for? Check out the list now and then get shopping! Discover the exciting stories of good versus evil in a galaxy far, far away with the Star Wars Bladebuilders Spin-Action Lightsaber! Kids can turn to the dark side and prepare to do battle against the Resistance fighters with just a flick of the wrist, or use the included lightdagger for close combat. And they can defend from every angle with the 360-degree spinning connector lightsaber hilt that sets this Bladebuilders lightsaber apart from any other! For the uninitiated, Hatchimals are interactive magical creatures that hatch themselves and they are this year’s must-have Christmas gift. They’re the perfect toys for kids who love the wonder of surprise and the connection they can get from nurturing a pet. Your child will be the key to releasing the magic of their Hatchimal. The Egg has a microphone to hear them, a tilt switch and coloured LED to communicate. Available at Toys R Us for $109.99 – but get in quick on these! As we’ve already mentioned, Hatchimals are flying off the shelves! 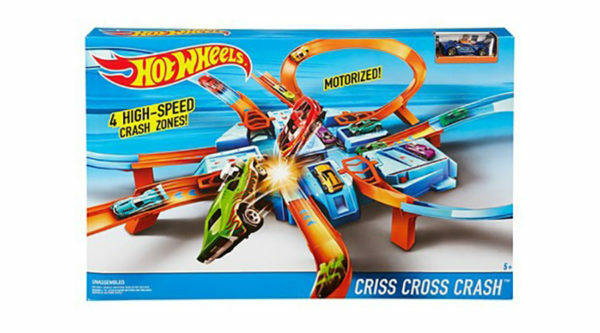 The Hot Wheels Criss Cross Crash track set has four intersecting crash zones and a car feeder ramp for amped-up action. Kids can line up their Hot Wheels cars and let ’em rip for near misses or total wipeouts. With heaps of track that includes hairpin turns, motorised boosters and a giant crash zone, kids can enjoy crash-and-bash fun for hours on end. Includes parking spaces throughout the set for additional storage and safe guards for kids over the crash zones. Whether it’s being the fastest race car driver, navigating rough terrain in a huge monster truck, or building a large parking garage, kids’ imaginations can run wild with Fast Lane’s assortment of toy cars, trucks and remote control vehicles. Fast Lane is the one-stop toy vehicle brand that provides kids of all ages with loads of speed, action and fun. 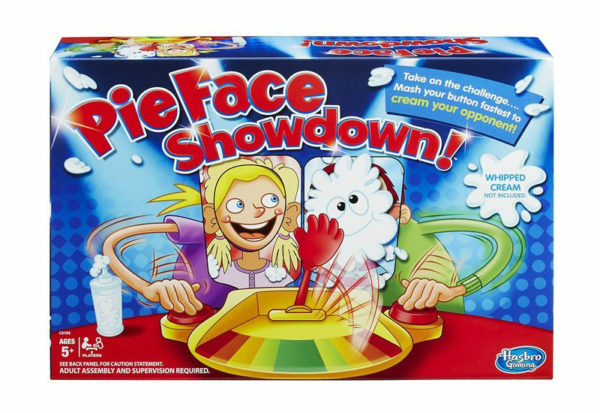 The hilarious Pie Face Showdown game brings friends and family together for lots of laugh-out-loud fun. First, players load the arm with whipped cream (not included) or the included sponge. Then each player places their chin on one of the chin rests and at the count of three, rapidly mashes the button nearest to them, which activates the hand on the throwing arm. The suspense builds as players try to get the arm to move toward their opponent, and when it gets too close to the pie thrower, it’ll spring up, and that player will get creamed! The player who doesn’t get “pie-faced” wins. 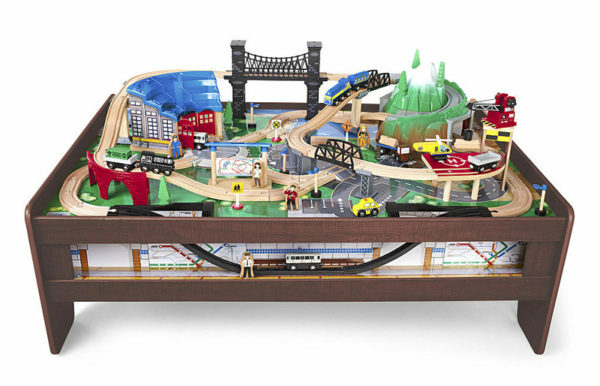 The Imaginarium Metroline Train Table delivers hours of fun train play with 100 pieces for you to combine. The set features five different destinations for your trains to stop at and even goes underground to pick up passengers waiting on the subway! Destinations include a mountain, bridge, helipad and train station. The tracks can be built to make up four levels of fun. 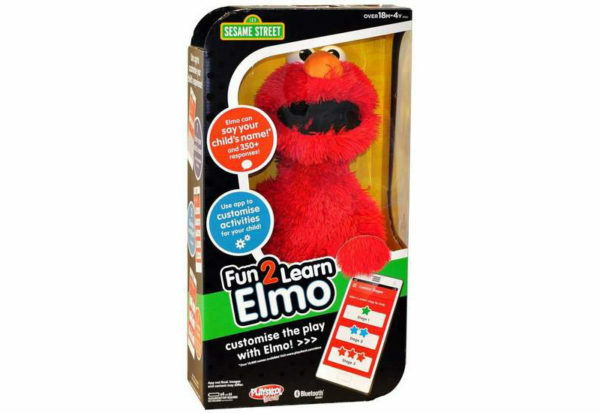 Fun2Learn Elmo is a cuddly plush toy that knows your child’s name! Now toddlers and preschoolers can play personalised learning activities right along with their best friend, Elmo. Parents can use the Fun2Learn Elmo app to create this customised play experience for their child. Choose from the app’s parent helpers, and the Elmo toy can even encourage kids in real time to clean up, use the potty and much more. All your favourite characters have just been ooshed! 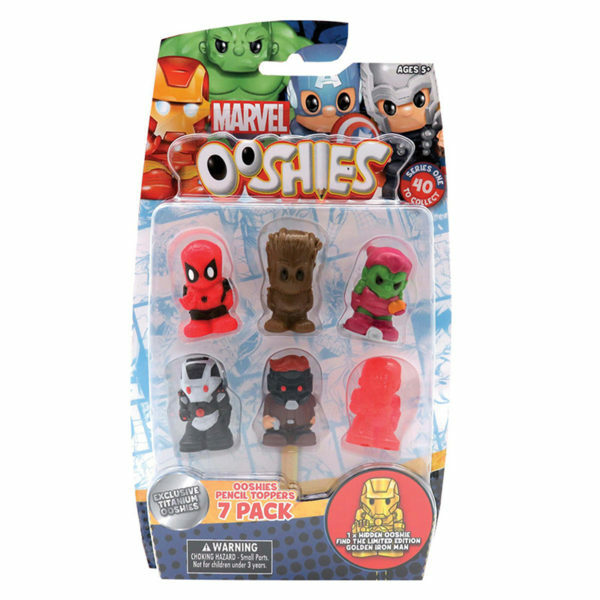 Ooshies are the coolest pencil toppers around; the tiny bouncy rubber mini-figures are available in either Marvel, DC or Teenage Mutant Ninja Turtles. Show off your collection on your pencil in school! 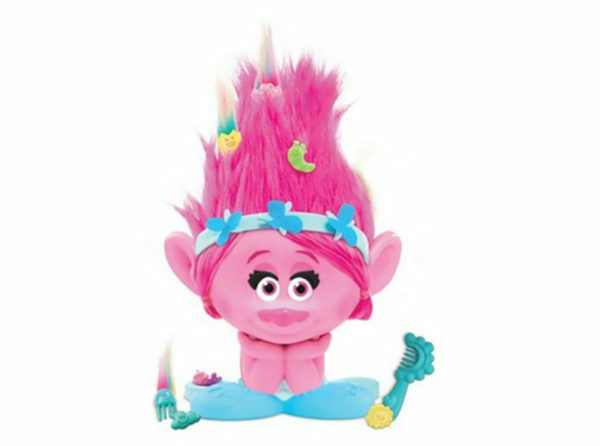 Design and create beautiful hairstyles with this DreamWorks Trolls Poppy Style Station. Your imagination is the only limit as you comb and accessorise Poppy’s beautiful and colourful hair. The set features adorable charm clips and cute mini combs to give Poppy an amazing makeover! Get styling! Say hello to Snuggles, the Dream Puppy! He moves and feels just like a real puppy. Hold him in your arms and he’ll give you a hug. Feed him with a bottle and he’ll fall asleep in your arms. Snuggles is looking for someone just like you to be his best friend. He even comes with an adoption certificate for you to fill in to make him your own.